One of my greatest joys is being a mother, so Mother’s Day is a special time for me to be reminded of how lucky I am to be a Mom. I struggled for a long time to have a child, and after 6 years I finally had a baby boy. He is nine now and the light of my life! Last year, I decided to start a new Mother’s Day tradition at the Chateau Sonoma Farm – an event where moms can come together with friends and family to do something creative, gather around a beautifully set table, eat fresh from the garden and toast one another with a glass of delicious champagne. We can hardly wait to continue the tradition this year on May 11th! 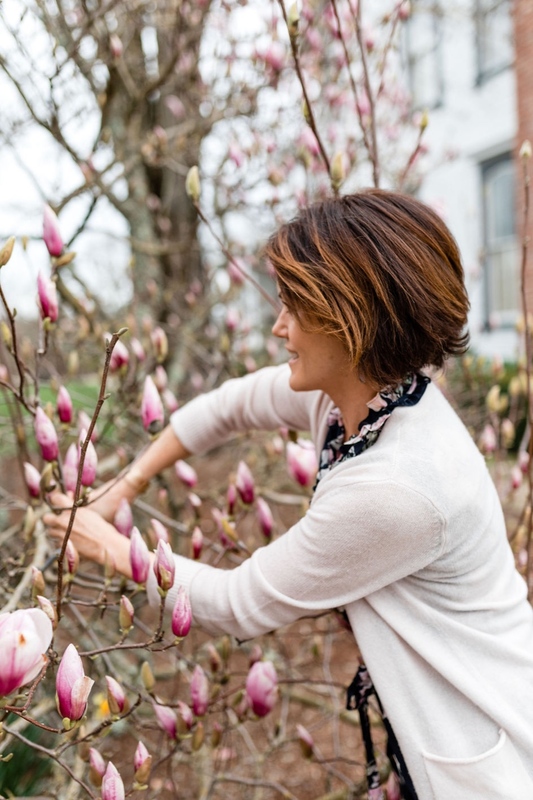 For this year’s event, to spark our creativity, we invited Dundee Butcher from Russian River Flowers to come and instruct a Mother’s Day floral arranging class. 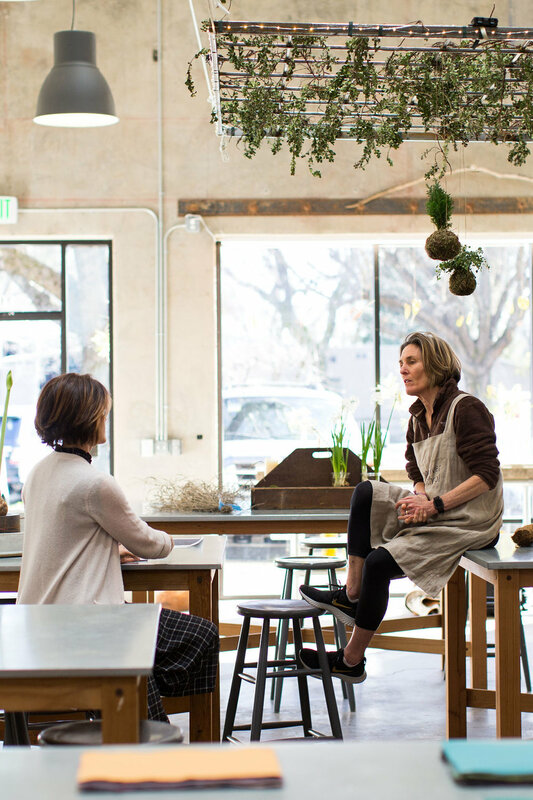 Dundee is an amazing floral designer who has worked for the top florists in London and now has a beautiful shop and floral arranging school in Healdsburg. She will be bringing with her Hiroko, a long time friend and artist, who is making special ceramic vessels specifically for this floral arranging class. We can’t wait for her to unveil her creation! Creating an amazing ambiance is a top priority in making our Mother’s Day gathering special. 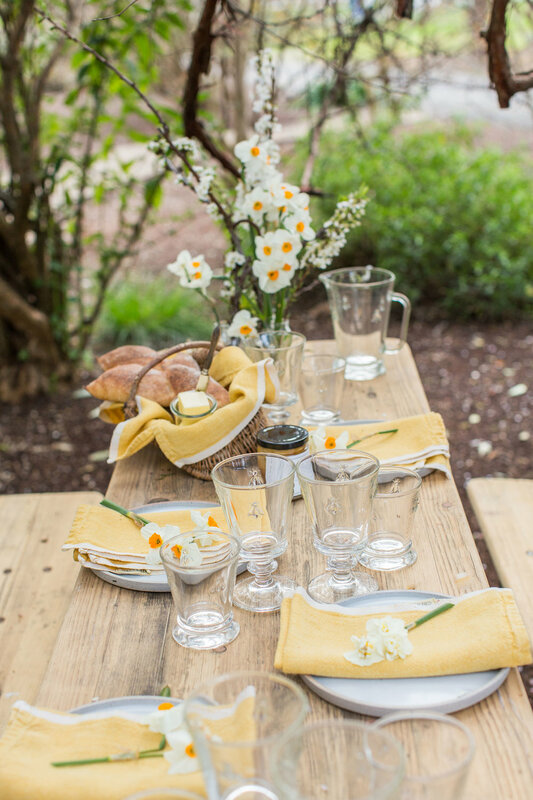 To begin, we choose our color palette and see what flowers we can forage from the garden. 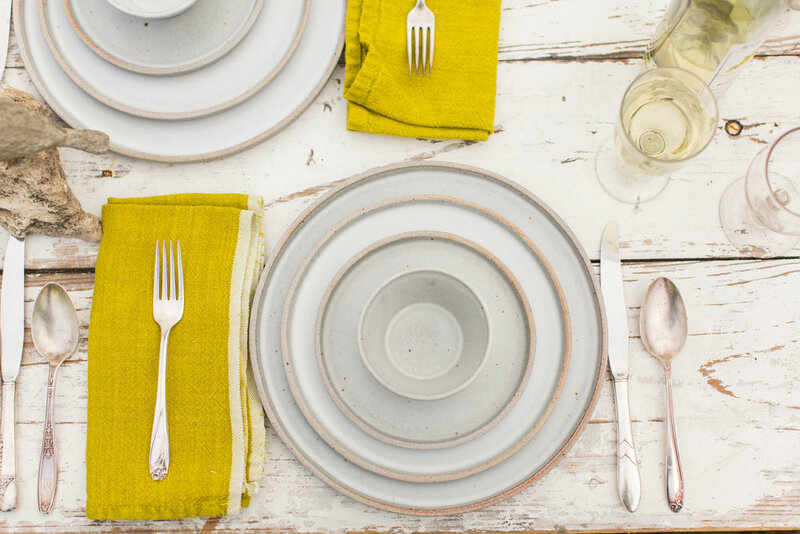 This year, we are planning to go with chartreuse green and keep the dishes neutral. 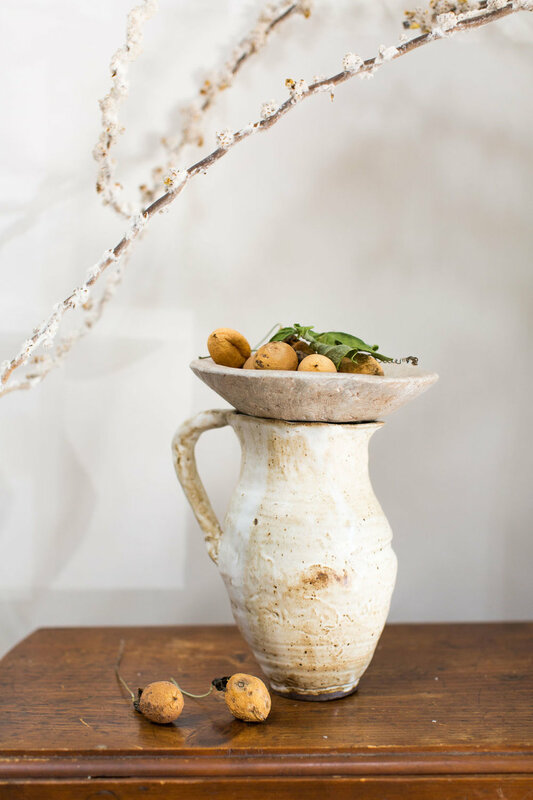 Our favorite local potter Carter and Co. created our signature dishes–we carry them year-round in the shop and use them for all of our events. We just love their clean lines, durability and beauty! 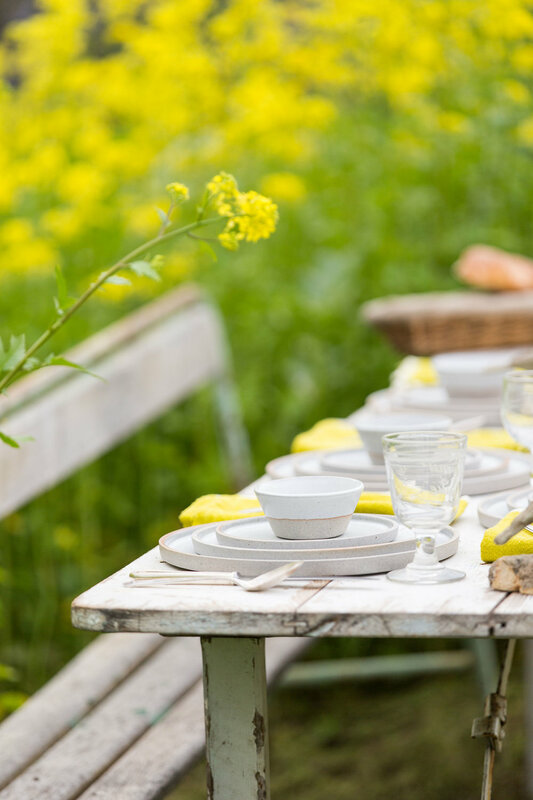 We’ll be using low bud vases on the table so guests can enjoy the flowers and still be able to see one another, and we won’t forget our favorite La Rochere bee champagne glasses for sipping. For the farm to table meal, we are so happy to have chef Charlene Nicholson to prepare it for us. Charlene began her career at Chez Panisse, the restaurant in Berkeley where farm to table all began, and is a cherished friend. Charlene sources the finest ingredients that really set her food apart and her cooking style is very refined and meticulous but not fussy. We have never had a better meal! And we can’t forget the champagne! We have Matthew Goughen, our French wine and champagne expert from Backroom Wines, who never steers us wrong. We can’t wait for him to share his pick with for Mother’s Day. Let’s raise a glass to all moms everywhere! Join us in celebrating Mother’s Day this May 11th!